Delven Mearis of Durham Public Schools rallied as small crowd waited for busloads of teachers to arrive ahead of the march. As they packed up their protest signs and returned to the classroom to finish out the school year, thousands of teachers in North Carolina turned their attention to a different fight: The midterm elections. 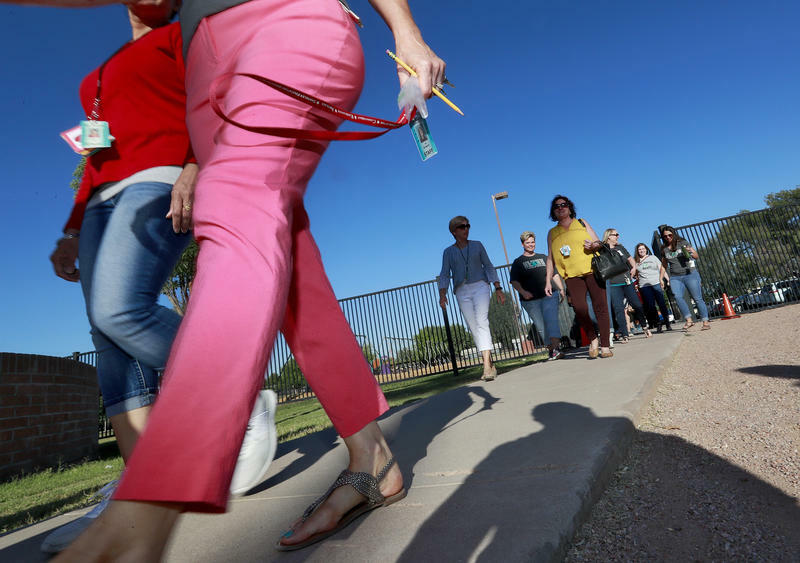 Their counterparts in Arizona, Oklahoma and West Virginia were already waging a similar battle following protests over teacher pay that shut down schools statewide in recent months, transforming education funding into a major midterm campaign issue in many states. 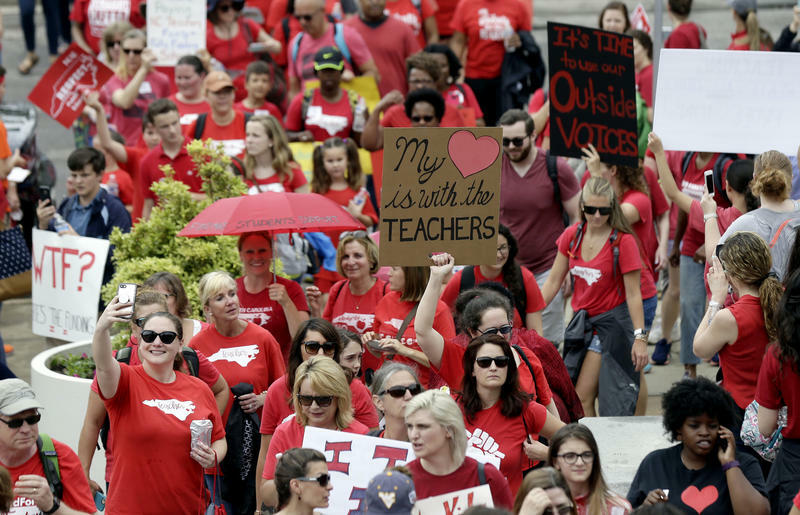 A march through downtown Raleigh on Wednesday drew thousands of teachers and shuttered schools for about two-thirds of the state's students. Hundreds of people outside the House and Senate galleries held signs and chanted: "Remember, remember, we vote in November." City blocks turned red, the color of shirts worn by marchers shouting "We care! We vote!" Teachers believe the momentum from the walkouts will propel them into the elections and force politicians to take education seriously. Jessica Sanabria, a second-year teacher at Alderman Elementary School in Wilmington who attended Wednesday's rally in North Carolina, isn't yet registered to vote but will be soon. She said recent teacher strikes in other states and what's happening in North Carolina has caused her to be more interested in what candidates stand for. "I'll be ready for next time to vote — absolutely," Sanabria said. "I've definitely gotten more involved." 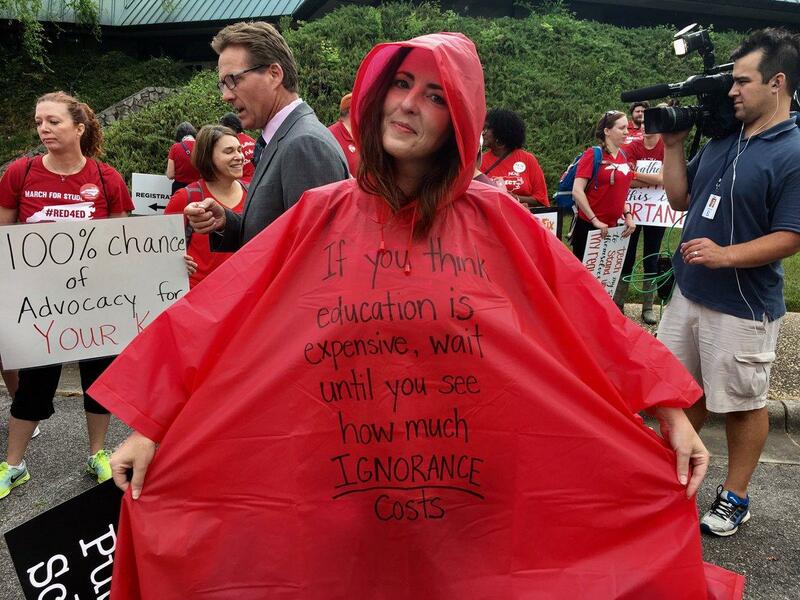 Mark Jewell, president of the lobbying group North Carolina Association of Educators that organized the march, called Wednesday just the beginning of a six-month long effort to replace legislators it blames for failing to raise teacher salaries and provide adequate school funding. Jeanie Peterson is a teacher's assistant at Cary Elementary. She says underfunding education has longterm effects for everyone. Arizona teachers, too, are pledging to stay politically involved following a six-day walkout that jammed the Capitol with raucous rallies and secured a 20 percent pay raise over three years from a Republican-controlled statehouse and GOP Gov. Doug Ducey. Many teachers toted signs with the message "Remember in November" during the walkout, and the grassroots group is focusing its immediate efforts on the ballot initiative to increase income taxes on wealthy earners. More than 150,000 valid signatures are required to get the initiative on the ballot, and teachers have been training on how to circulate the petitions. On Wednesday, organizers pledged to gather 25,000 signatures in support of the tax proposal in solidarity with North Carolina. 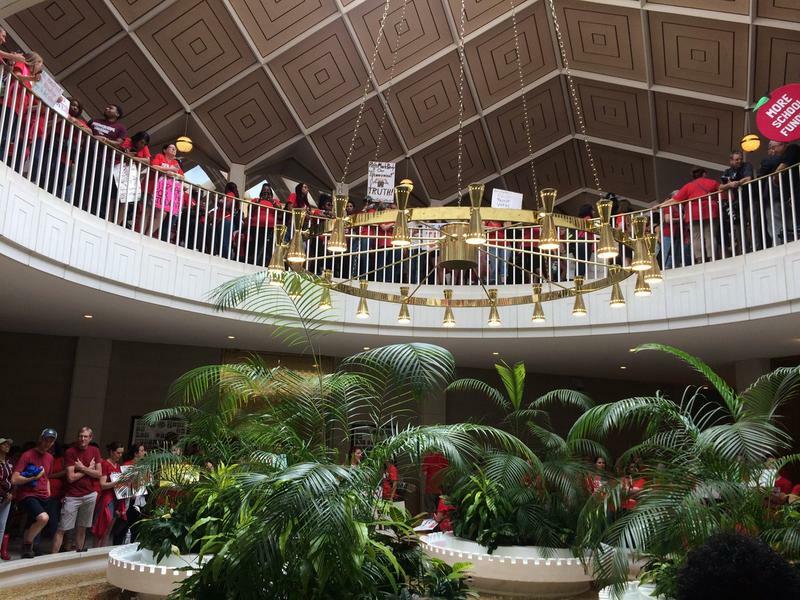 Thousands of North Carolina educators mounted a historic demonstration outside the state Capitol Wednesday as lawmakers arrived for the start of a short session. 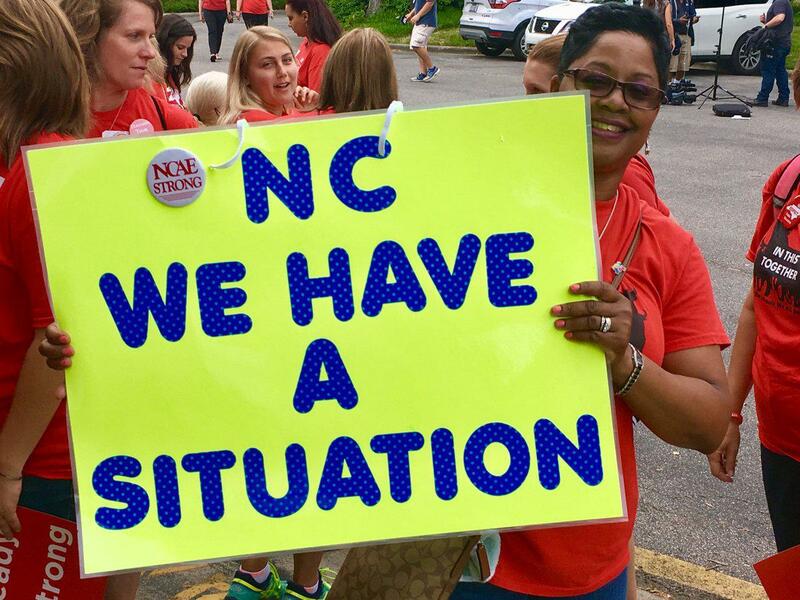 While the halls in many of the state's schools were quiet, the streets of downtown Raleigh thundered with voices of teachers and their supporters.